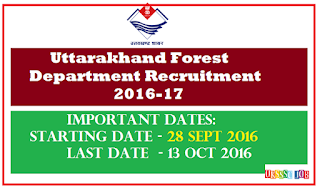 Uttarakhand Forest Department has published a notification for Various Post in uttarakhand Forest Department . 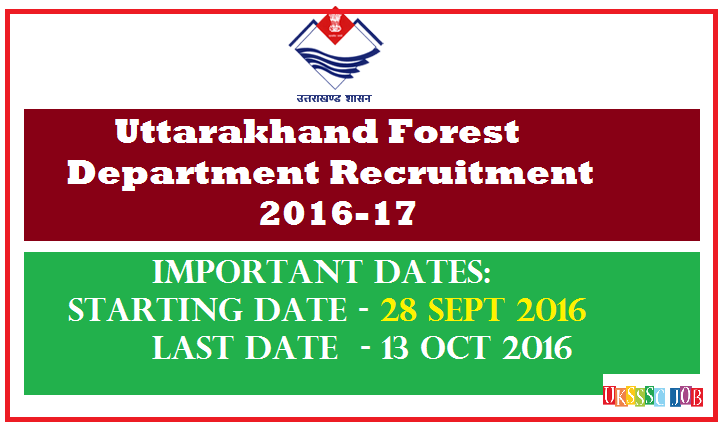 Eligible candidates may apply offline from 28 sept 2016 to 13 October -2016. Note : This Form is Not Online . Application Form will be receive via postal service .you have to put 40-40 each postal ticket on form. Candidates age limit should be between 21 – 42 years.